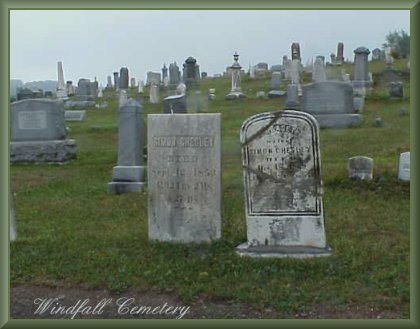 Do You Know that you can search just the Bradford County Cemetery Records on the site by using the Cemeteries -Bradford button in the Partitioned search engine at the bottom of the Current What's New Page? If you use that partition follow these steps to search just one cemetery. 1. Choose Cemeteries - Bradford. 2. Enter part of the cemetery name [ie Ballard or Berrytown] AND a surname.